When a devastating accident with a homemade fishing bomb destroyed both of Sun Jifa’s hands, the farmer from Jilin province in Northern China couldn’t afford the expensive prosthetics provided by the hospital. 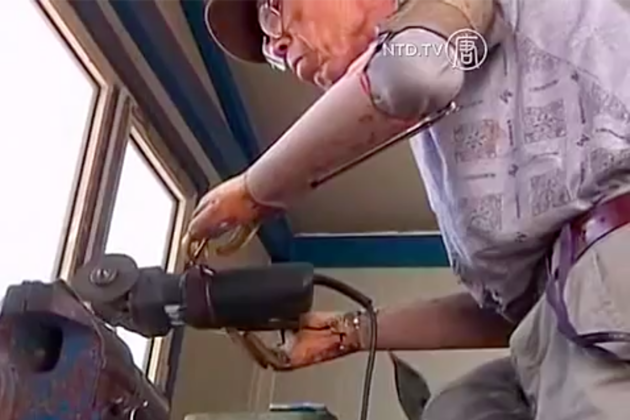 Faced with a family to take care of and rudimentary prostheses that made it impossible to do farm work, Sun began an eight-year quest to design and build his own bionic arms using whatever materials he had available. After a series of prototypes built from pulleys, wires, and scrap metal, Sun settled on a final design that proved so successful that amputees in neighboring towns have been clamoring to buy them.